The state of New York is quite large, but most high school senior trips are to New York City, the largest and most cosmopolitation metropolis in the United States. NYC is a popular destination for graduates because there is so much to see and do in the Big Apple. For students that live in other regions, a senior trip to New York City could be the adventure of a lifetime. Whereas for students in or near the American Northeast, NYC is a relatively economical senior trip option, compared to a tropical destination for example. While hotels in Manhattan can be pricey, there are more affordable accommodations in outlying areas. And few senior trip travel destinations compare to the plethora of sights, activitities and eateries available in New York City. High school seniors can choose between a jet-powered boat tour around New York Harbor or a more leisurely cruise. Either way, students will have the opportunity to see the Statue of Liberty up close and the option to tour Ellis Island, the main port of entry into the U.S. for over 60 years. These boat trips also afford the opportunity to take in the world-famous New York City skyline from the surrounding waters. What senior trip to New York would be complete without visiting the iconic Empire State Building? The world's tallest building for nearly 40 years, this structure has a roof height of 1,250 feet and stands a total of 1,454 feet tall, including its antenna. The Empire State Building receives approximately 4 million visitors each year and boast observations decks on the 86th and 102nd floors, which afford an incredible view of Manhattan. U.S. history was forever altered that fateful day when a terrorist attack brought down the twin World Trade Center towers in New York City. As terrible as that tragedy was, the aftermath brought Americans together like never before. 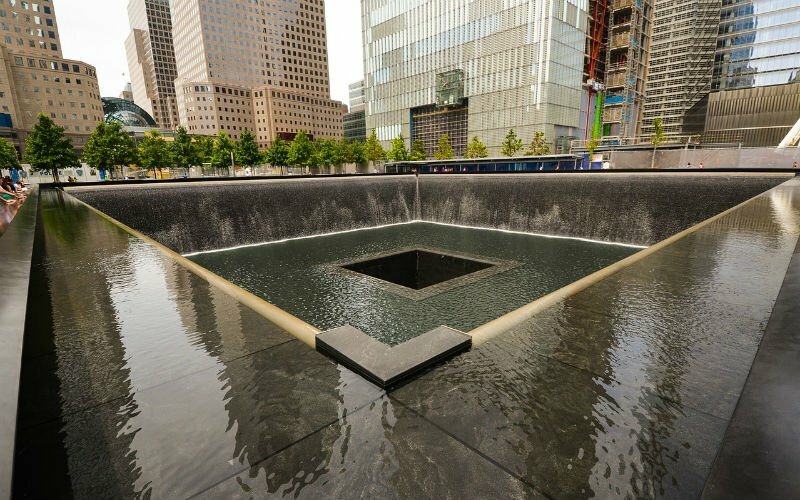 High school seniors, who were elementary schoolchildren at the time, will want to visit the scene and honor the victims and the heroes who valiantly tried to save them. Get a free quote for your senior trip to New York!